Contractor mortgages can often seem like an uphill struggle. From a lender’s perspective, being a contractor can be defined as a number of different things. As a result, lenders have varied views on how to assess contractor mortgages and therefore have very different approaches. Being a contractor usually entails being employed by a company working on a fixed term contract. You may also be self-employed and the majority of your work is carried out through one main company. Lenders may lend to one type of contractor and not the other, or vice versa. Some lenders may not lend at all and some may lend to both types. There are lenders that may consider approving contractor mortgages, even if you’ve been a contractor in the UK for just six months. Every case is unique, so we’ve organised this article to be as helpful as possible. If you’re still unsure of what to do next, you can always speak to an expert mortgage advisor. A self-employed contractor is classed as an individual who is registered as self-employed with the HMRC. A self-employed contractor will therefore pay their own tax and national insurance. Income is then declared through a self-assessment which can be filed by an accountant. Self-assessments can be completed both online and by post via the HMRC. Self-employed contractors may subcontract for one or a number of different companies. If you’re a self-employed contractor or subcontractor, then you’ll need to have work history for at least 12 months. Lenders will then base your affordability on the net income declared in your self-assessment. If your role as a self-employed contractor has only recently started, then please see the next section below. If you’re a self-employed contractor but don’t quite have one years history, you may still be eligible for a mortgage depending on your circumstances. For instance, you may have previously been employed by a company but have recently changed your status to self-employed. Despite the change, you’ve continued to work for the same company. In this scenario, lenders may feel as though there’s enough stability for mortgage approval. This is because your lack of self-employed history is justified. This is just one example of where lenders may lend to contractors having less than 12 months history. It’s important to note that contractors with at least twelve months history with future contracted work will have an option of lenders and mortgage products. Contractors with less than six months history may still be approved for a mortgage, but will only have a handful of lenders that may say yes. As each and every case is individually assessed, it’s always best to consult an experienced advisor who specialises in self-employed mortgages. If you’re self-employed and have a fixed term or a short-term contract, then getting a mortgage may not be easy. High street lenders don’t often entertain contractor mortgages for fixed/short term time-frames, however specialist lenders do. Having a contract for a single term enables lenders an insight into the duration and income involved with the contract. Even if you only have a contract for twelve months, specialist lenders may still approve you a mortgage. There are some exceptions for recent self-employed contractors. Recent self-employed contractors will likely be required to have at least six months history with a pipeline of future work. Renewed contracts can also help satisfy concerns from lenders. If you’re a contractor working through an umbrella company, mortgage approval is slightly more complex. This is because it can be difficult for lenders and particularly underwriters to establish whether or not the income is sustainable. Some lenders will decline applications altogether and simply won’t lend no matter how much proof you have that your income is sustainable. On the other hand, there are lenders that have approved mortgages in our experience. Contractors who have been working through an umbrella company for over twelve months or have had a history of contract renewal should be able to secure a mortgage if it’s placed correctly by an experienced mortgage advisor. If you don’t meet the criteria then in all honesty, you will struggle to obtain a mortgage. With time and enough trading history, you should be eligible for a mortgage. It’s always best to speak to an advisor if you’re still unsure of what to do. A common misconception is that contractors who work through an agency will be unable to get a mortgage. In fact, this is untrue. Although it may be difficult, there are lenders that may consider and approve contractor mortgages in these circumstances. Our expert mortgage advisors have secured mortgages for contractors working through agencies, it all depends on your individual situation. This section relates to self-employed professionals who work in fields such as the medical profession, accountancy, law, IT, etc. Professional contractors often have access to a number of lenders even without working history. This is related to the specialist skills associated with the profession that the contractor may be in. If your contracted rate was £250 a day and you worked 4 days a week, then your weekly income would be £1000. Over 48 weeks, your contracted annual income would equate to £48,000. Some lenders may only lend up to 3x your annual income, with others lending up to 4-5x your annual income. In this case, your maximum mortgage amount based on 4x your annual income would be £192,000 for that specific lender. Lenders also assess applications on other criteria such as the number of months or years you’ve been contracting. Other assessments will be made on if you’ve had contract renewals, your credit score, monthly outgoings and any other unsecured or secured loans you may have. That’s why there isn’t one answer for everyone. If you wish to know exactly how much you can borrow, then please speak to an advisor. Make an enquiry and an expert will happily take a look at your case. How much deposit will I need for a contractor mortgage? Usually, we’d recommend at least a 10% deposit in order to secure a mortgage. The reason being, anything less and the rates start to become unattractive. Generally, the more deposit you can put down the better rate that’s usually on offer. It may be possible to get a mortgage with a 5% deposit via government mortgage schemes such as Help to Buy. Don’t forget to assess your mortgage repayments and if you can sustain payments over the period of your mortgage term. You will generally pay higher mortgage rates with smaller deposits below 10%. Contractors who have been declined tend to give up and often believe mortgage approval simply isn’t possible. However, it’s common for contractors to be declined a mortgage, especially when approaching high street lenders direct. Why are contractor mortgages declined? The reason lenders use a restricted approach is generally because the field of contracting is so varied. Lenders base their mortgage assessments on risk. If lenders deem you to be too much of a risk then you’ll be declined. This often happens when contractors approach lenders direct, as the application isn’t showing its true strength in the way it’s been presented. This is completely understandable from our point of view. An application from a contractor needs to be presented and placed correctly to increase the chances of approval. If the application hasn’t been placed and presented correctly then lenders will be quick to decline. I’m a contractor and I need a mortgage, what should I do next? If you’ve been declined, then don’t panic and certainly don’t give up. 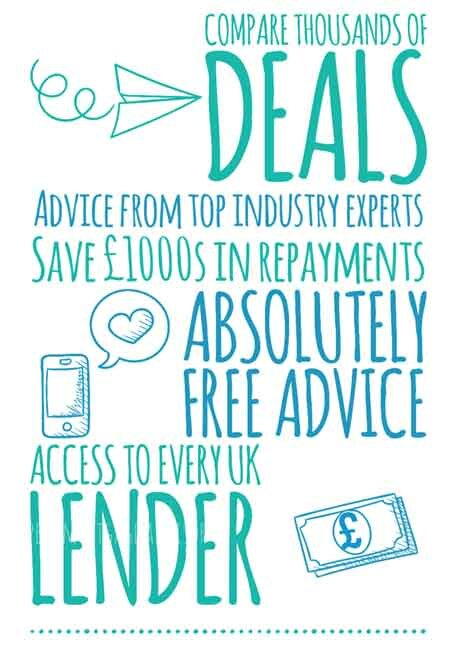 There are many different ways to approach lenders and there are specialist advisors that can help you every step of the way. Establishing why your application was declined is a good start to understanding where the gaps in your application are. If you’re in a rush to buy a house, you can also ask your mortgage advisor to speak to the estate agent on your behalf. This can minimise the chances of you losing the property to another buyer. The expert advisor can then go through your application and make sure it’s strong enough and placed with the best suited lender based on your circumstances. 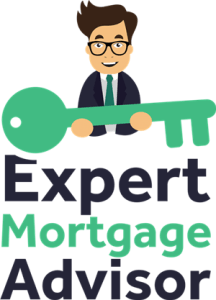 Not only should an expert advisor be able to secure you a mortgage, but they should be able to secure the best possible rate available to you. Although possible, it can be difficult to obtain a contractor mortgage with adverse credit. We would recommend you to speak to an advisor that specialises in bad credit mortgages. Enquirers often assume they have a really bad credit file, but in reality, their credit files are adequate enough to be approved a bad credit mortgage. If your credit issues happened over two years ago and your payments have been on time since, then lenders may take your recent financial stability into consideration. All of our advisors specialise in adverse credit mortgages, simply make an enquiry to check if you qualify.